Biola University welcomes 17 new faculty members this fall — each of whom represent the university’s aspiration to attract and retain the finest Christian scholars. The new professors vary in interest and expertise from theological aesthetics and bilingual brain studies to DNA repair. To learn about Biola’s new faculty, read their thoughts below on the value of Christian higher education and the significance of a strong foundation in their specific fields. 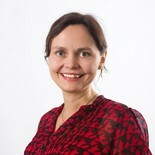 Laura Dryjanska obtained her doctorate degree in social representations and communication at Sapienza University of Rome. She is currently an Assistant Professor at the Rosemead School of Psychology at Biola University. Her research interests include social representations applied to diverse fields: migration, human trafficking, intergenerational solidarity, ageing, place-identity and organizational psychology. Dryjanska is fluent in English, Italian, Spanish, Russian, and Polish (her mother tongue). She is a member of the American Psychological Association (APA), Society for Industrial and Organizational Psychology (SIOP), and the European Association of Social Psychology (EASP). Her recent publications include a short textbook in organizational psychology for ESL students, two volumes of edited books in Italian focused on intergenerational solidarity, and various scientific articles in peer-reviewed international journals. David Shane Lowry obtained his bachelor of science degree in anthropology at the Massachusetts Institute of Technology and his doctorate degree from the University of North Carolina. His scholarship focuses on human empathy. His graduate research took place between 2009 and 2012 when he spent hundreds of hours with missionaries, healthcare providers, and social justice advocates from the Lumbee Tribe of North Carolina. Lowry is writing two books. One book is an anthropology of Michael Jordan, and the other book is a story of how the Lumbee Tribe became a hub for healing in America. Lowry is currently part of an interdisciplinary research team that is funded by the National Science Foundation (NSF) to study the environmental aftermath of Hurricane Matthew in North Carolina. He will be teaching courses in cultural anthropology, medical anthropology, and other topics related to his research and writing. 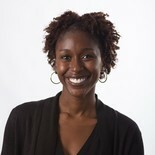 Eundria Hill-Joseph is an Assistant Professor of Sociology. A native of Compton and La Habra, Calif., she completed her bachelor of arts degree in Spanish literature at Smith College before earning a master of arts degree in social work from Columbia University and a doctorate in sociology at Georgia State University. Her research interests include chronic illness, demographic disparities in psychological coping, and young adult mental health. Her dissertation, “Ill-Timed: The Effects of Early Onset Chronic Illness on Young Adult Psychosocial Development” examines the long term effects of chronic illness onset before age 35 on individuals’ sense of mastery and experience of depressive symptoms. Her primary teaching interests include sociology of health and illness, quantitative research methods, and social welfare policy. 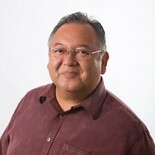 Robert Covolo served as a pastor at Grace Brethren Church of Long Beach, as a scholar at the Visual Faith Institute of Art and Architecture and as the Chairman of the School Board for the Intellectual Virtues Academy. 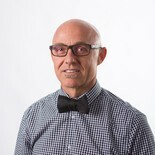 In addition to degrees and certificates in the humanities, history, English literature, divinity, and philosophy of religion, he holds a doctorate degree in theology and culture from Fuller Theological Seminary, and is anticipating the defense of his second doctorate degree from Vrije Universiteit Amsterdam this fall. His areas of expertise include theological aesthetics, theology and culture, secularization theory, fashion theory, and the Dutch statesman and theologian Abraham Kuyper. 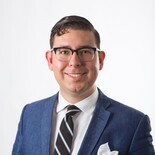 Jonathan Diaz is an alumnus of Biola’s English department and a perpetual member of the Torrey Honors Institute. He holds a master of fine arts in poetry from the University of Notre Dame. His poems have been featured in or are forthcoming from Curator, Zócalo Public Square, American Literary Review and St. Katherine Review. 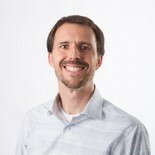 Isaac Blois obtained his bachelor of arts degree from Biola University, his master of divinity from the Talbot School of Theology and is pursuing his doctorate degree at the University of St. Andrews. He has conducted in depth research on the Book of Philippians and topics such as the hermeneutical strategy of the New Testament. His thesis argues that in Philippians Paul presents boasting or honor as something that is experienced mutually by God, the Philippians and Paul himself, such that Paul's faithfulness to his ministry produces boasting for the Philippian believers (1:26) and that the Philippians' faithful obedience will produce Paul's own boasting (2:16), all of which contributes to the honor and glory of God (1:11; 2:11; 4:20). Bonnie Vidrine Isbell conducts interdisciplinary research which specializes in blending bilingual brain studies and second language pedagogy. She has taught English as a second and foreign language for 10 years in Washington, Louisiana, Thailand, Spain, and Belize. She has specialized in second language composition for the last six years. Michael Kitada earned his bachelor of arts degree in communication with an emphasis in photojournalism from California State University, Fullerton. After graduation, he was employed as a staff photographer at the Orange County Register where he was able to travel and document top events of the time over the last 25 years. For the last 10 years, he managed his own photography business and taught photojournalism as an adjunct at UCLA, California Baptist University and Biola University. 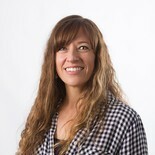 Sarah Flores has 22 years of experience in nursing since in a variety of settings, most which had a pediatric focus. She has experience in school nursing, research, ambulatory practice management and leadership management. 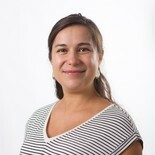 Flores obtained her bachelor of science degree in nursing from Biola University and her master of science degree in community health nursing from San Diego State University. Her interests include informatics, research, performance improvement and quality metrics, professional development and nursing excellence. She also holds a specialty nursing certification in Executive Leadership. She is affiliated with the American Academy of Ambulatory Care Nursing (AAACN), Sigma Theta Tau Society and the Association of California Nurse Leaders (ACNL). Jinsil Kim, assistant professor of biological sciences, comes to Biola from the National Institutes of Health, where she conducted research on DNA repair and Progeria. She has obtained her bachelor of science degree with honors in biology from Idaho State University and a doctorate degree in anatomy and cell biology from the University of Iowa. Kim has a research background encompassing a wide variety of fields, including cell and molecular biology, genetics, developmental biology, and human diseases. She completed her dissertation on the topic of identifying genes that play a role in preterm birth using different biological approaches, including genetic, transcriptomic, and epigenetic approaches. Through teaching, she seeks to share her passion for understanding the intricate purpose and design in living organisms with students and help them grow in their knowledge of God the Creator. Kim is excited to serve at Biola to equip students with the scientific knowledge and skills that can be used to impact the world for Christ. Diana Petroi is joining the Communication Sciences and Disorders faculty as part of the recently launched master’s program. She is a clinician-researcher and professor, with areas of expertise in neurologically-based motor speech and language disorders, cognitive-communicative impairments, and dysphagia. Her clinical and research interests include differential diagnosis and understanding brain-behavior relationships of motor speech/language disorders, comparing clinical findings across various domains, and collaborating across disciplines for teaching, research, and quality care purposes. She earned her bachelor of science degree in communication disorders from Biola University, her master of science degree in speech-language pathology from Loma Linda University, and her doctorate degree in communication sciences and disorders from Texas Tech University Health Sciences Center. 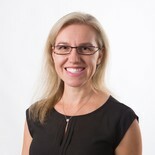 She also completed a postdoctoral fellowship in the Department of Neurology, Division of Speech Pathology, at Mayo Clinic in Rochester, Minn. Petroi’s clinical practice has focused on medical speech-language pathology, with her providing direct patient care to persons with medical issues resulting in various communication and swallowing disorders. She also has experience working with speech-language pathology and medical students and residents, being part of multidisciplinary care teams, serving on national professional committees, and presenting at local, state, and national meetings and conferences. Correction: Updated on Sept. 14 with additional information. K.C. 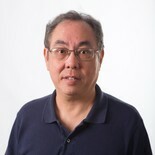 Wong has been teaching computer science courses in higher education for more than 25 years. He earned a bachelor’s of science degree in physics and two master’s of science degrees in physics and computer science as well as a doctorate in computer science. 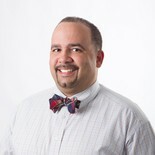 He has taught in a variety of environments from traditional, research-oriented universities, institutions with diversity in races, ages, and economic backgrounds, to Christian-centered colleges. His research interests are mainly in operating systems and undergraduate education. 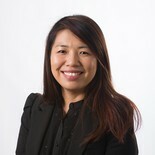 Mickie Wong-Lo is currently an Associate Professor in the School of Education at Biola, previously at Northeastern Illinois University in Chicago, IL. 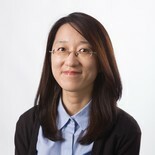 Wong-Lo, a Board Certified Behavior Analyst, completed her doctoral studies in special education at the University of North Texas. Prior to entering the field of higher education, she worked as a behavioral training coordinator and consultant for private and public education/mental health facilities in Texas. She is a member of the Board of Directors for the Council for Exceptional Children and currently serves on the Editorial Board for the Journal of Preventing School Failure, Journal of Gang Research, and Multiple Voices for Ethnically Diverse Exceptional Learners. As an advocate for safe schools and mental health, her research focus surrounds issues on cyber bullying, gang crime analysis, violence in schools as well as behavioral and function-based interventions. With over 25 years of experience in the banking and market research industries, Jake has held leadership positions with two Fortune 100 companies and one of the country's top-polling firms. Jake was actively involved in the JPMorgan Chase and Washington Mutual Bank merger, the largest conversion in U.S. financial services history at the time. He has been recognized by the California State Assembly and the City of Los Angeles for his contributions in business and organizational leadership. Jake is pursuing his doctorate degree in organizational leadership from Regent University, and his current area of interest includes the mega-trends impacting the global business environment, specifically in regards to a multi-generational and changing workforce. 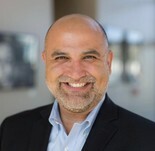 Juan R. Castro is a professor in finance in the Crowell School of Business. He obtained his doctorate in finance and economics, master of arts degree in economics, and bachelor of science degree in computer science from the University of New Orleans, Louisiana. 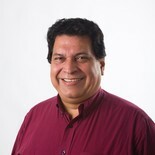 With over 25 years as a professor and scholar, Juan has had an extended international experience as a Fulbright Scholar in Central America, Consultant for the United Nation Development Program (UNDP), and teaching in several countries such as Austria, South Korea, Spain, Honduras, el Salvador, and Ecuador. Most recently, Castro has been interested in researching in how to alleviate poverty through financial education and microfinance. He was awarded SIFE’s HSBC Financial Literacy Award for creating financial and economic opportunity by helping the community develop personal financial management skills necessary to achieve financial independence. 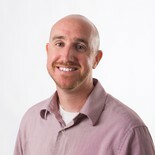 Brandon Cash obtained his bachelor of arts degree from Long Beach State University and his master of divinity from the Talbot School of Theology at Biola University. He is finishing up his doctoral studies in Old Testament at Fuller Seminary. 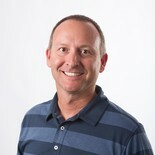 Brandon has been serving as a pastor at Oceanside Christian Fellowship for nineteen years. He has also served as the chaplain for the Los Angeles Dodgers since 2010. He has been involved in denominational leadership at both the regional and national levels, the Evangelical Homiletics Society since 2001, and has served as a mentor to pastors and church planters throughout Southern California. Brandon has been an adjunct professor at Talbot for the last few years and is looking forward to joining the faculty full-time. Written by Jenna Loumagne, manager of media relations. Contact Jenna for more information at (562) 777-4061 or jenna.loumagne@biola.edu. As an employee of Biola Universtiy, I enjoyed reading these bios on the new faculty. Are there bios available to read on all the other faculty? What a wealth of educational experience, knowledge, and most importantly the love of Christ that will be imparted to our students. Glory be to God!